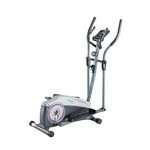 Compact size, intuitive operation, easy-to-read display, soft handles for better grip, built-in heart rate monitors. 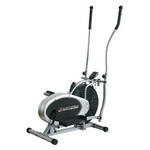 The Elliptical Trainer inSPORTline Sarasota Light II is a manually controlled elliptical trainer with a number of functions and additional features. 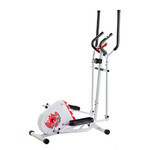 The simple display allows you to follow your time, speed, distance covered, heart rate, calories burned, etc. 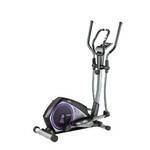 With its 6kg flywheel and manually adjustable resistance, the Elliptical Trainer inSPORTline Sarasota Light II allows for smooth resistance adjustment. 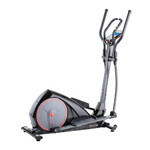 You may also appreciate the uneven floor adjustment system, anti-slip pedals or the BeltDrive system which ensures quiet running. 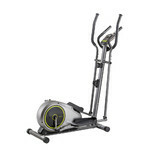 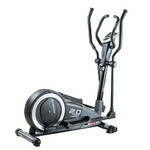 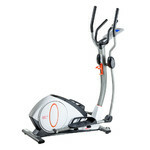 Its compact size, stable structure, many accessories and excellent price/performance ratio make the Elliptical Trainer inSPORTline Sarasota Light II a quality home workout machine.